The first recorded surviving introduction of European honey bees (Apis mellifera) into Australia occurred in 1822 aboard the Isabella. 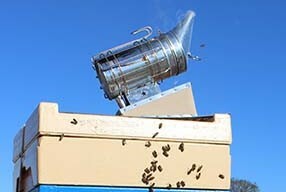 Since that time, honey bees have established widely throughout Australia. 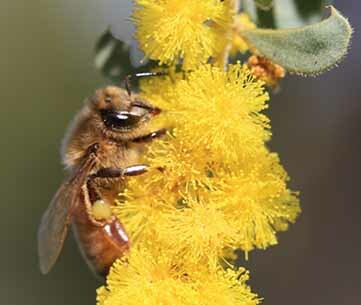 Commercial beekeeping has been incredibly successful because of the extensive areas of native vegetation, particularly eucalypts and other members of the Myrtaceae and Proteaceae. This abundant native floral resource produces large quantities of pollen and nectar, making this continent an ideal climatic and geographic region for the honey bee. The Australian honey bee industry consists of approximately 12,000 registered beekeepers who own a total of around 520,000 hives (see table). 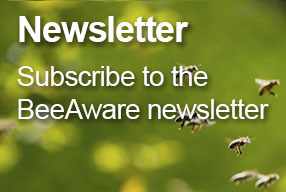 Only 11 per cent of registered beekeepers have more than 50 hives, but it is estimated that they account for more than 80 per cent of Australia’s total honey production and production of honey bee-related products and services. 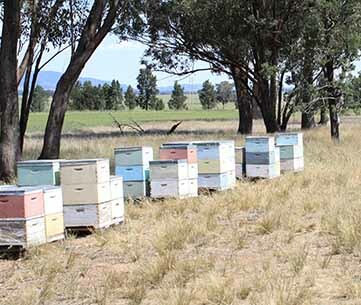 Commercial beekeeping businesses in Australia are mainly nomadic, with many hives being moved up to 20 times in a given year to a variety of different locations, either for pollination contracts or for honey production. These large numbers of movements are due to the high variability of budding, flowering, and pollen and nectar yields associated with most plants accessed by beekeepers. 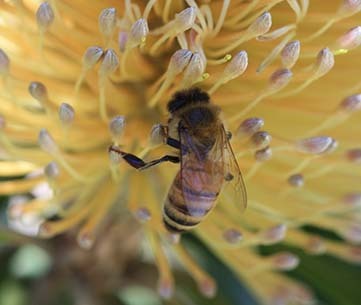 The Australian honey bee industry produces between 20,000 and 30,000 tonnes of honey annually. 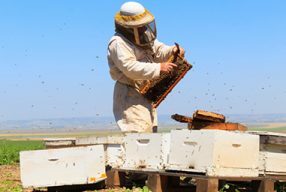 As in most other areas of the world, honey production in Australia is mainly driven by weather conditions and the impact of weather events, such as droughts, floods and bushfires on the honey bee population. Other factors that can impact the level of production are honey bee pests and diseases, nutritional deficiencies as well as the health and access of the native vegetation from which the honey is produced. Australia is one of the top ten honey producing countries in the world, with a large amount of honey produced in Australia exported to a variety of countries overseas in both bulk and retail shipments. Other honey bee products include beeswax production, queen bees and packaged bee sales, pollen, propolis and paid pollination services. The industry has an overall estimated gross value of production (GVP) of $90 million a year. The relatively small honey bee GVP understates the industry’s value to agriculture and the economy through pollination services as honey bees provide valuable pollination services to many agricultural and horticultural industries. As honey bees forage for nectar and pollen their activities pollinate plants, resulting in increased seed or fruit set, improved storage qualities and shape of some fruits and melons, and more even maturation of some crops. Plant species on which honey bees forage differ in their responsiveness to pollination by honey bees. Crops such as almonds are 100 per cent reliant on honey bees for pollination. Specialist pollination services are also essential to the breeding of new strains of many crop, pasture and horticultural species. 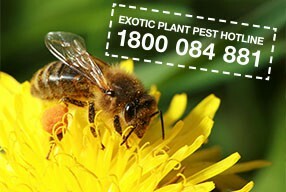 It has been estimated that pollination services from honey bees contribute $4-6 billion annually to the Australian economy.